1225 Sylt holiday apartments starting at €20 for Sylt city breaks! 2821 holiday properties on Sylt-Travel. Here you can choose your Sylt accommodation for your Sylt holiday from around 4400 Sylt holiday apartment offers in the towns of Westerland, Kampen, Keitum, List, Rantum, Hörnum, Wenningstedt, Archsum and Tinnum for your next holiday and get in contact with private landlords. Our availability calendars show you if there is still a vacancy in the desired apartment for the desired period. We now also offer hotels. With a surface area of approximately 99km2, Sylt is the largest of the North Frisian Islands and, after Rügen, Usedom and Fehrmarn, the fourth largest German island. This island has a western beach with over 13,000 wicker beach chairs. It reaches its narrowest point at 380m at Königshafen and its broadest between Westerland and the Nössespitze near Morsum at 12.6km. The highest natural point on the island is the 52m high Uwe Dune in Kampen. There are eight townships in Sylt: Archsum, Braderup, Hörnum, Kampen, Keitum, List, Morsum, Munkmarsch, Rantum, Tinnum, Wenningstedt and Westerland. Westerland is the only official “town” on the island with a population of 9500. A total of about 20,000 people live on the island who accommodate around 650,000 guests annually. There are two guest beds for every resident on the island (about 40,000) and, in addition to this, there are about 12,000 second home owners. In the high season, there are more than 10,000 traditional German wicker beach chairs on the beach. The island offers a diverse range of leisure activities, as well as a variety of events. It also has about 200km of bike tracks and 50km of hiking paths. Feel like a spontaneous trip to Sylt? Take advantage of our Sylt Last Minute offers so that you don’t miss out! Sylt has a wonderful, unique natural landscape and is surrounded by particularly salty sea air. It has a moderate climate and there are about 1750 hours of sunshine every year. From long sandy beaches, dune landscapes and dramatic cliffs, to galleries, exclusive boutiques and nightclubs, there is something for every holiday-maker in this natural paradise! 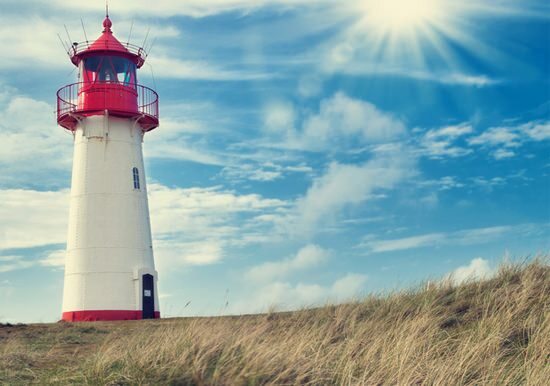 Find out more about Sylt's tourist attractions on our places of interest page! Every one of the holiday destinations in Sylt has its own unique charm. Rent an exclusive holiday home in Kampen, enjoy the hustle and bustle of Westerland or enjoy some peace and quiet and relax in your Munkmarsch holiday apartment. Find your Sylt holiday apartment, holiday home or hotel in the holiday destination of your choice! View our Regions page to find out more about Sylt’s different holiday destinations. Westerland: The largest township of the island, Westerland, with its 9000 residents, is also Sylt’s administrative seat. Alongside its 6 kilometre, over 100 year old beach promenade, Westerland is above all famous for a wide range of bars, pubs and clubs. Booking a holiday apartment in Westerland is ideal for those who don’t just want to relax and also to enjoy Sylt’s nightlife. Kampen: This contemplative township is considered to be an exclusive holiday destination. Holiday apartments and holiday homes in Kampen usually promise comfort and luxury with a Frisian village charm. Owing to its innumerable galleries and exhibitions, this village is also a cultural hub. Wenningstedt: Braderup, situated at the Wadden Sea, also belongs to Wenningstedt, located on Sylt’s west coast. As a “family resort” and spa resort, Wenningstedt has a large range of leisure activities. Two 18-hole golf courses, various wellness facilities and an Island Circus for the little ones, staying in a holiday home in Wenningstedt is especially appealing to families with children. Morsum: After arriving in Sylt with the car train over the Hindenburgdamm, this contemplative town is the first town you will see on the island. The Morsum Cliff and the beautiful heather landscape will give you a first impression of the beauty of this island. There are holiday apartments in Sylt here for every budget. Hörnum: Right at the bottom of Sylt is Hörnum, the youngest township on this North Sea island. Nested in a gentle dune landscape, this little harbour township is alluring above all due to its enchanting natural surroundings, and you will be sure to find a Hörnum holiday apartment to suit your budget. Munkmarsch: Maritime Munkmarsch is perfect for sailers and surfers. The yacht harbour and Munkmarsch Bay are perfect starting points for sailing trips and surfing tours. A Munkmarsch holiday apartment is ideal for water rats! Keitum: Ornate thatched roofs, beautiful tree canopies and an idyllic village lifestyle – that’s Keitum, and you could stay here in your own Keitum holiday home! Strolling through this little village you will find small galleries, boutiques and antique shops. Rantum: There is only 600m of land between the smooth sandy beaches of the west coast and the idyllic natural paradise of the Wadden Sea: here is where you will find the peaceful village of Rantum. Enjoy long hikes, days on the beach, excursions to Tinnum Castle or a visit to Sansibar Sylt, a famous restaurant. List: The most northern township in Sylt – and Germany! – took a long time to be discovered by tourism. Smooth sandy beaches and rough breakers in the west of the village and family-friendly beaches in the east are what make List List. Stay in your own List holiday apartment and eat at the most famous fish stand in Germany – Gosch Sylt! Archsum: If you’re on the look-out for peace and relaxation, Archsum is the perfect destination for your trip to Sylt. The island’s smallest township is known to be an oasis of tranquillity and promises a village idyll with heavenly natural surroundings. In Archsum you will find holiday apartments in picturesque, thatch-roof houses. Tinnum: This climatic spa resort is located directly next to Westerland, Sylt’s main township. Enjoy the advantages of your Tinnum holiday home's proximity to vibrant Westerland but relax in this village atmosphere. Is Sylt starting to sound like the perfect place for your next holiday? Then start searching for your choice of Sylt holiday apartments right now on Sylt-Travel.com! Are you interested in visiting the most beautiful city in the world? Then you might want to look for a holiday apartment in Hamburg.